A timeless classic, this men's gold wedding band is sure to catch admiring glances for years to come. Incomparable 14K yellow gold is shaped into a stylish domed profile with a gleaming polished finish. 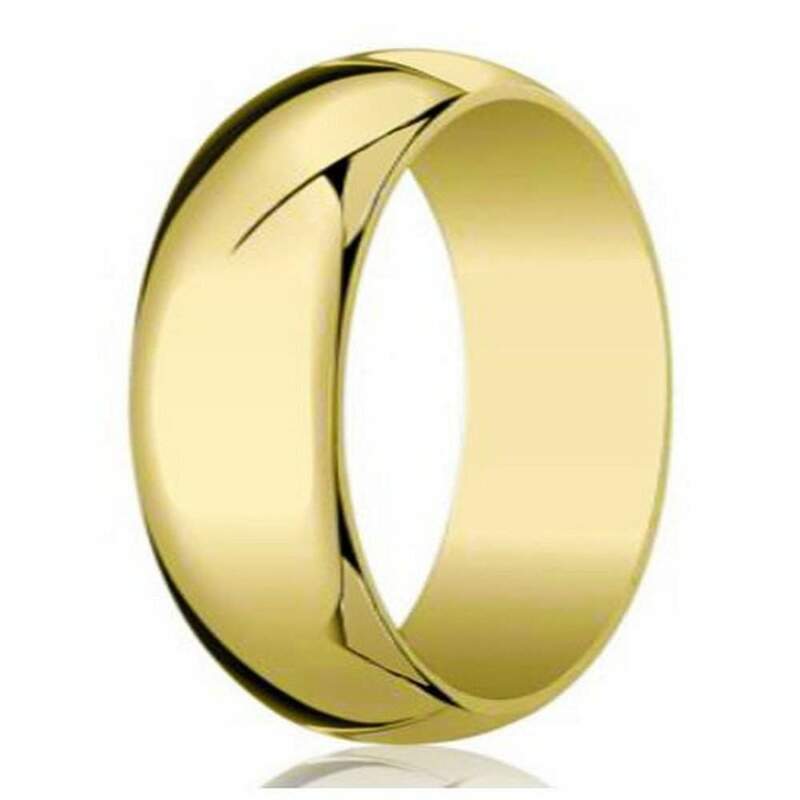 This 8mm traditional fit yellow gold designer men's wedding ring is both enduringly handsome and budget-friendly.